Cadmium (Cd) Sputtering Targets 99.9% ~ 99.999% 2"Dia. x 1/8" T P.O.R. Carbon (C) Sputtering Targets 99.9% ~ 99.999% 2"Dia. x 1/8" T P.O.R. 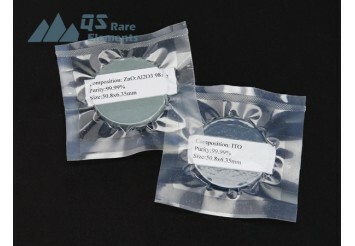 Europium (Eu) Sputtering Targets 99.9%(REM) 2"Dia. x 1/8" T P.O.R.